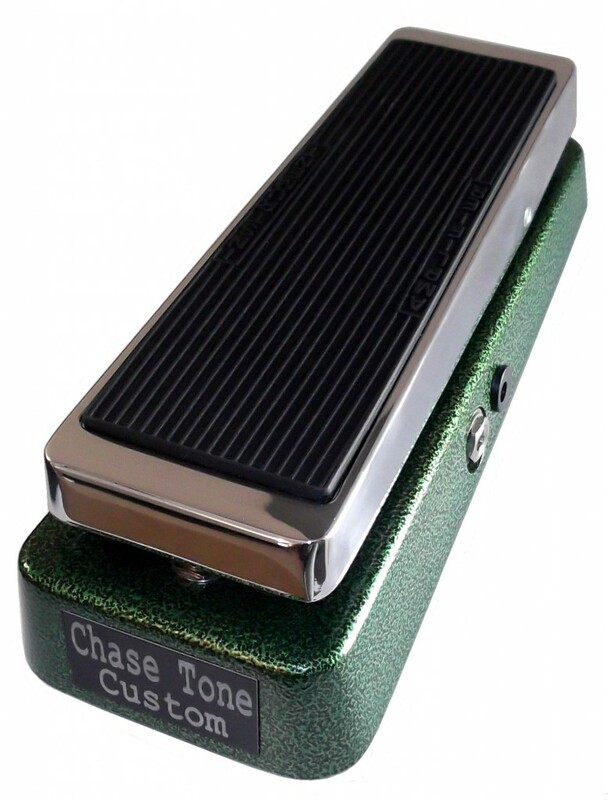 We are completely sold out of the Chase Tone Italian Crybaby Wah Replica. 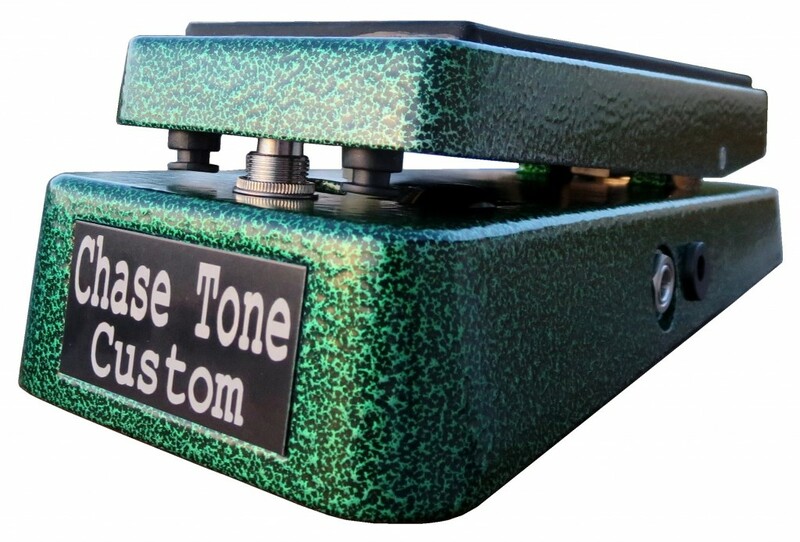 Please contact us to be placed on the Chase Tone™ Scripture Wah™ Wait List. The Chase Tone Italian Crybaby Wah Replica is patterned after the original 1969 – 1970s Italian Vox Crybaby Wahs. The custom tuned sweep is balanced perfectly in between a Vox Clyde McCoy and Italian Crybaby Wah- make the notes sing with ultimate ease! Perfect for that epic wah solo that turns heads! Reminiscent of Rainy Day Dream Away and Come On (Let the Good Times Roll) Guitar Solo from the Electric Ladyland LP. Equally reminiscent of 1970s Jimmy Page! The finish has zero ozone emissions and is very durable with low maintenance. Wah Pot with a unique taper spreading the Mid-Treble region out for a sweep that’s balanced perfectly in between a Vox and Crybaby Wah- Make the notes sing with ultimate ease and without hesitation. BC109A custom made vintage accurate transistors for an authentically original Italian era Vox Wahs. This is a VERY RARE vintage spec transistor utilized in the BEST vintage Crybaby wahs with a unique midrange-treble bite. NOS Fasel inductor – A key element in the unique saturation and vocal response of the Chase Tone Crybaby Replica. New Old Stock Mullard Tropical Fish Capacitors for a pleasingly thick tone. Ducati style Polystyrene NOS capacitors- The ultimate warm smooth silky wah capacitor with identical sound to the Clyde McCoy era wahs. Talking & Laughing Italian Crybaby Wah! The first run is completely sold out in the limited edition Italian green with hexavalent chrome rocker top! 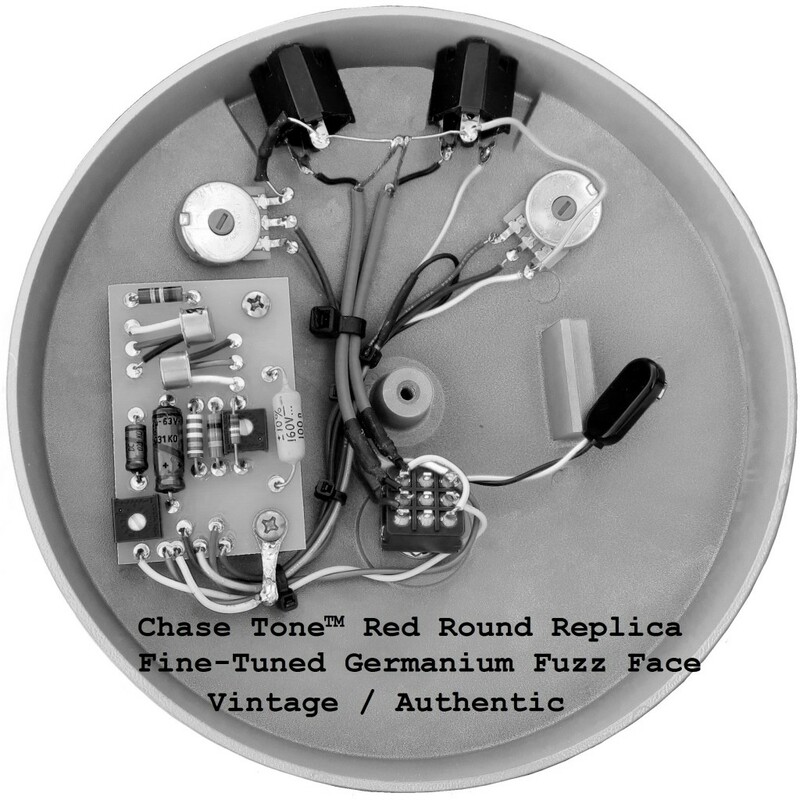 Customers who purchased the Chase Tone Custom Italian Wah also liked the Chase Tone Red Round Replica! Please click the below photo to display more details! Thank you!